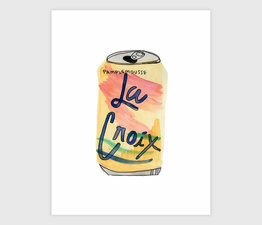 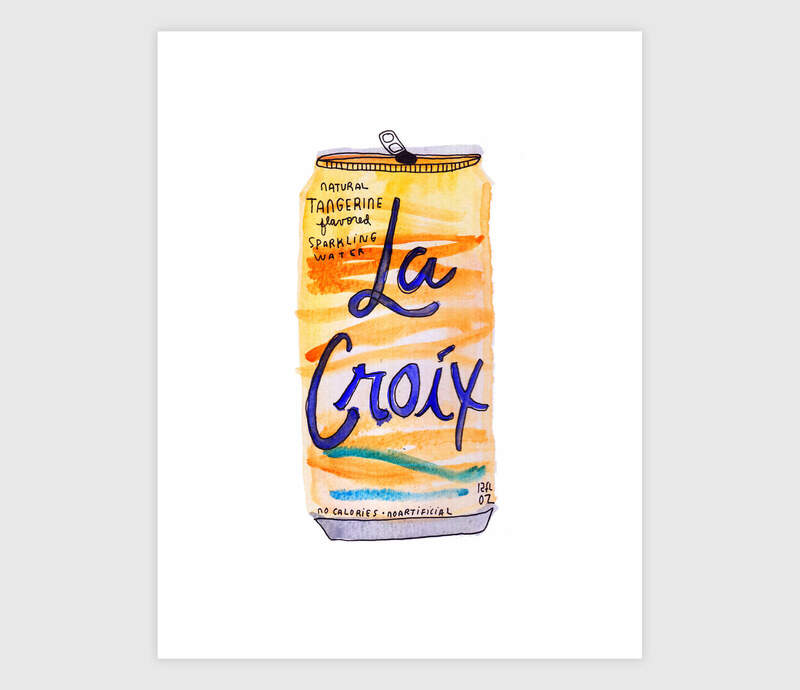 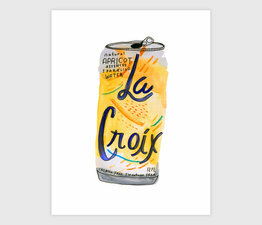 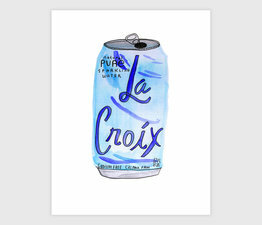 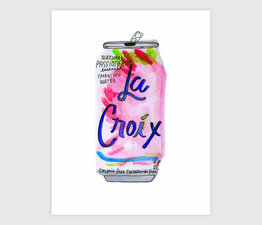 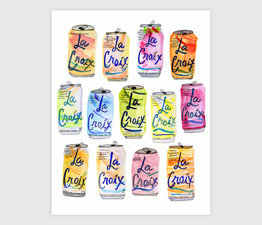 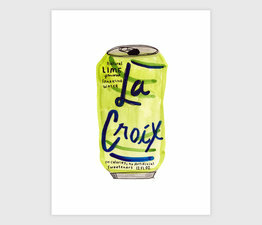 Kate has drawn lots of different drinks over the years, but none is more dear to her heart than the sweet, sometimes bitter, taste of La Croix sparkling water. 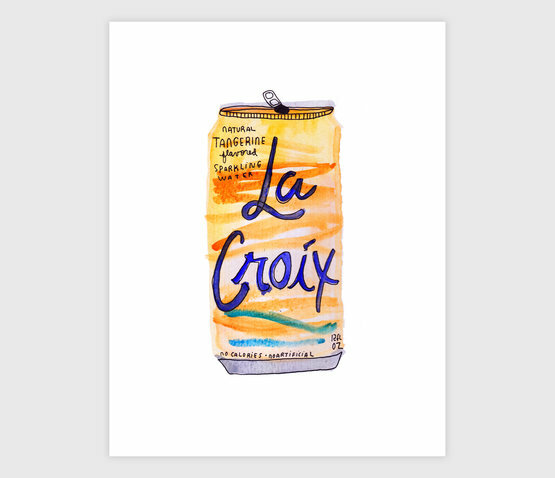 This print celebrates the fun Tangerine flavor. 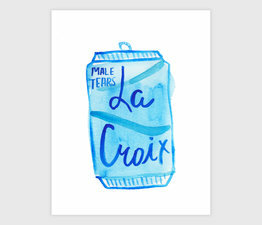 Kate Bingaman-Burt is an illustrator and educator. 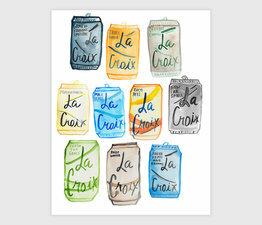 She has been making work about consumption since 2002, teaching since 2004 and drawing until her hand cramps since 2006.